AKIPRESS.COM - An official ball of the 2018 FIFA World Cup, called Telstar 18, was unveiled in the Russian capital of Moscow on Thursday during a solemn ceremony attended by world’s football stars. According to the official statement form FIFA, the new ball is: "A reinvention of a classic model with a brand-new panel design and the latest technology: in an exciting re-imagining, Adidas today revealed the official match ball for the 2018 FIFA World Cup Russia, which pays homage to the first-ever Adidas World Cup ball." "The Telstar 18 evokes unforgettable memories of the 1970 FIFA World Cup - and of legends like Pele, Gerd Muller, Giacinto Facchetti, Pedro Rocha and Bobby Moore - and will feed the dreams of those who will play for football’s most coveted prize in Russia next year," the statement from FIFA said. 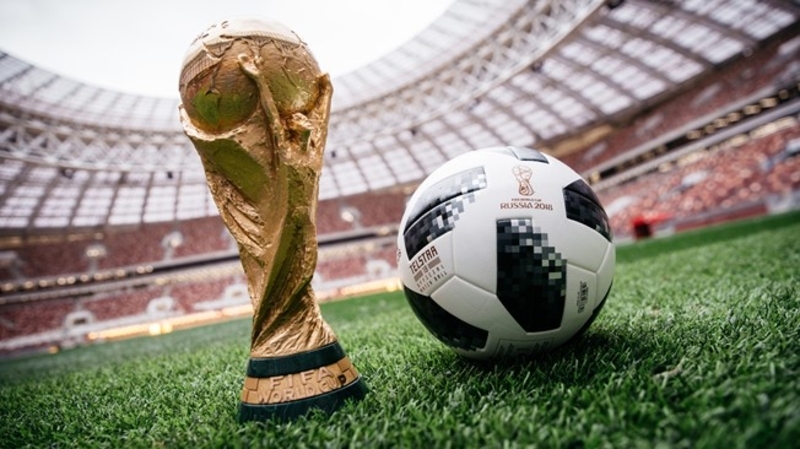 The solemn ceremony to unveil the official match ball for the much-anticipated world championship in Russia was attended by active and former football stars such as Argentina’s Lionel Messi, France’s Zinedine Zidan, Brazil’s Kaka, Italy’s Alessandro Del Piero and Spain’s Xabi Alonso. Russia is now in full-swing preparations to host the 2018 FIFA World Cup. Krasava by Adidas was the Official Match Ball at the FIFA Confederations Cup hosted by Russia in 2017. The matches of the 2018 World Cup will be held between June 14 and July 15 at 12 stadiums.